The history of our winery has been closely linked to the history of our family since 1583. We invite you to learn more about us. 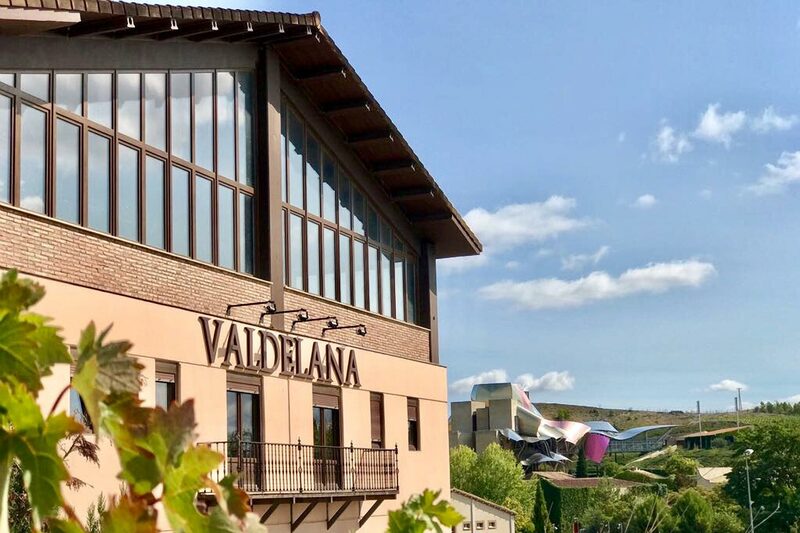 Recently awarded with its second Best of Wine Tourism in Art and Culture, Bodegas Valdelana is located in Elciego, birthplace of Rioja wines. Elciego is a village of about 1,000 inhabitants placed between Logroño and Vitoria in the region known as Rioja Alavesa. 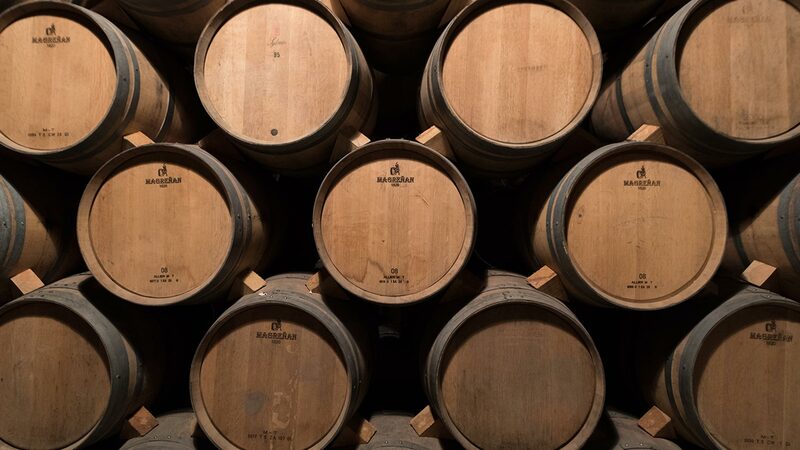 Bodegas Valdelana does not only produce olive oil and a great variety of wines, but it also has two Museums located in a 15th century underground cellar. On the one hand, our Ethnographic Museum travels backwards in time to the ancient civilizations that lived in Rioja Alavesa. On the other hand, our Wine Museum shows us how hard it was to produce wine in the 19th century. Besides that, we own a charming rural accommodation where our visitors can stay and get deep into the world of wine. Nowadays, we commercialise our wines in more than 20 countries under four different brands: Familia Valdelana, Barón Ladrón de Guevara, AGNUS, Duquesa de la Victoria, and CENTUM VITIS. Every wine is proudly made by the family themselves. 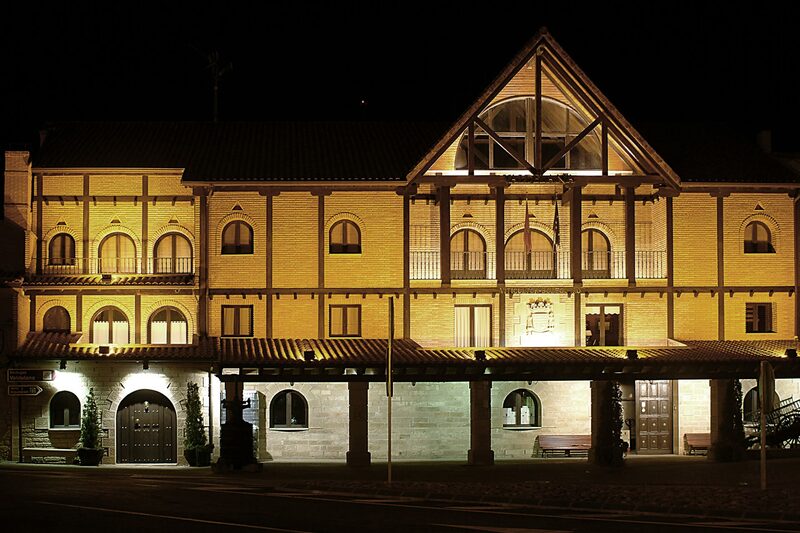 Our modern facilities are located near a roundabout where 6 roads of the DO Rioja meet. They are just 400m away from our Accommodation and Winery Museum. Our new winemaking cellar was finished in 2007. 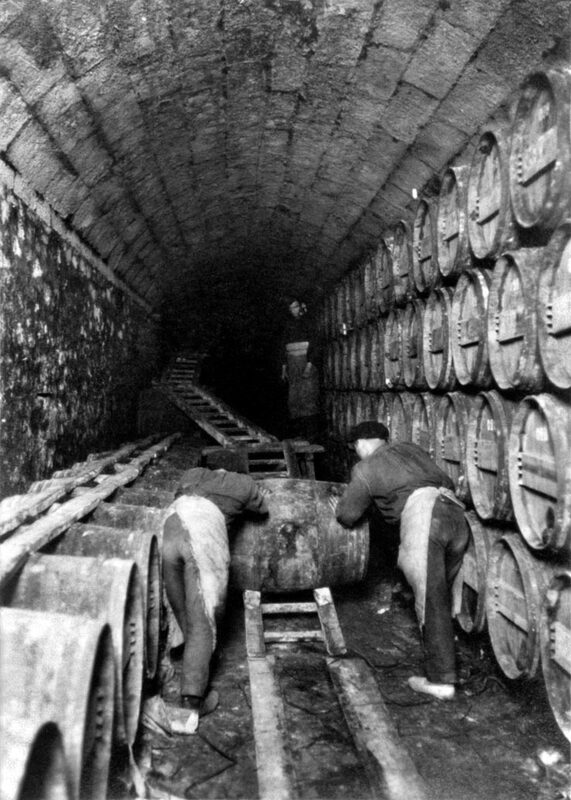 We decided to build a full-equipped cellar, because that way we could be up to date with new technologies. Our Winery-Museum formerly housed the facilities where our grand-father used to produce wine. It was a family cellar built over underground cellars from the 15th century. However, its construction made it harder for us to continue producing wine there, so we started building a winemaking cellar separated from the Winery-Museum, so that our visitors could enjoy it. 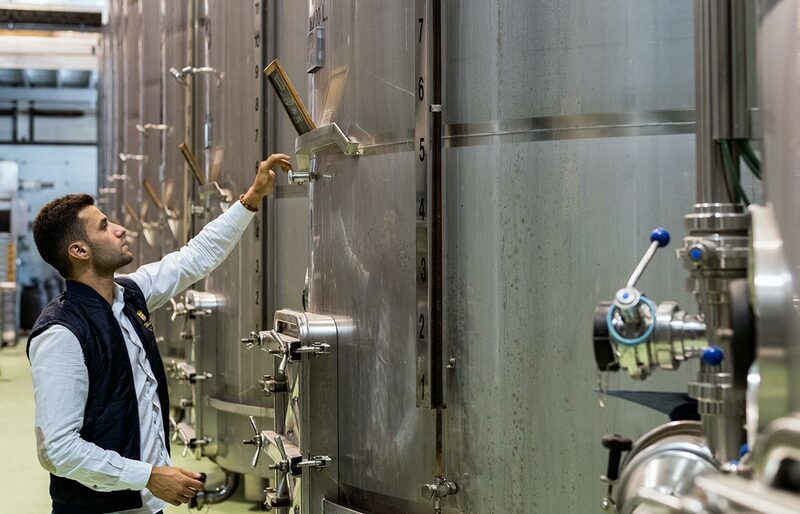 Our new facilities also include a large area for the ageing of the wine placed 15 meters below the soil level. 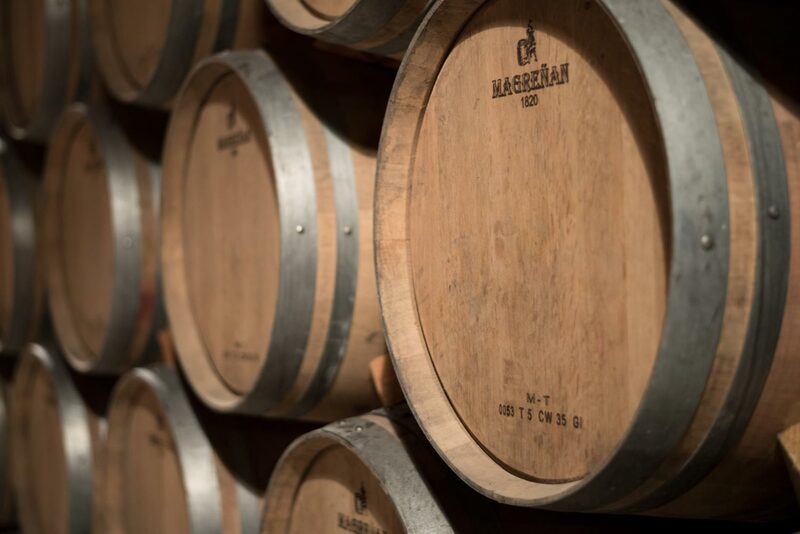 Approximately 3,000 barrels made on French, American and Russian oak “sleep” there. 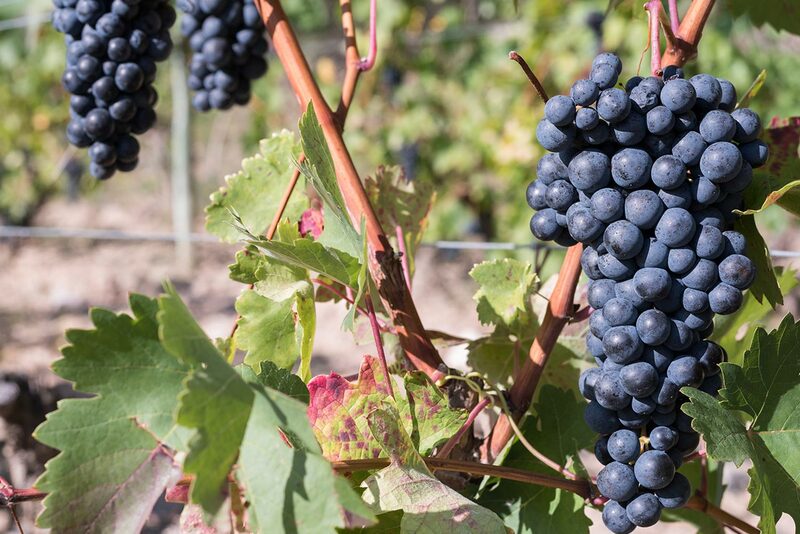 We grow different grape varieties, such as Tempranillo, Garnacha, Mazuelo, Graciano, Malvasía, and Viura. All of them come from our family vineyards and are carefully selected by hand. Calm, peace and harmony. That’s everything our wine needs to rest in oak barrels. Nowadays, we employ three different types of oak: French, from remote forests in Allier, American and Russian. We select the cork for our wine among the best Portuguese cork oaks. 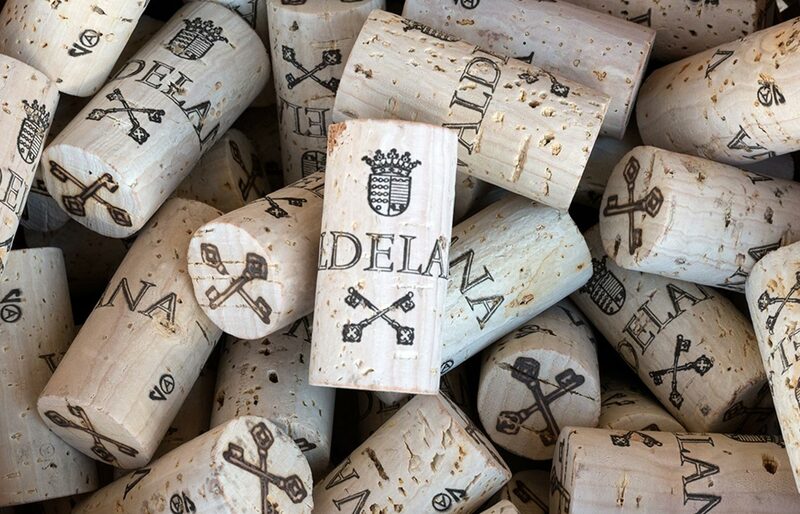 The cork takes care of our wine and lets it rest in a peaceful way. 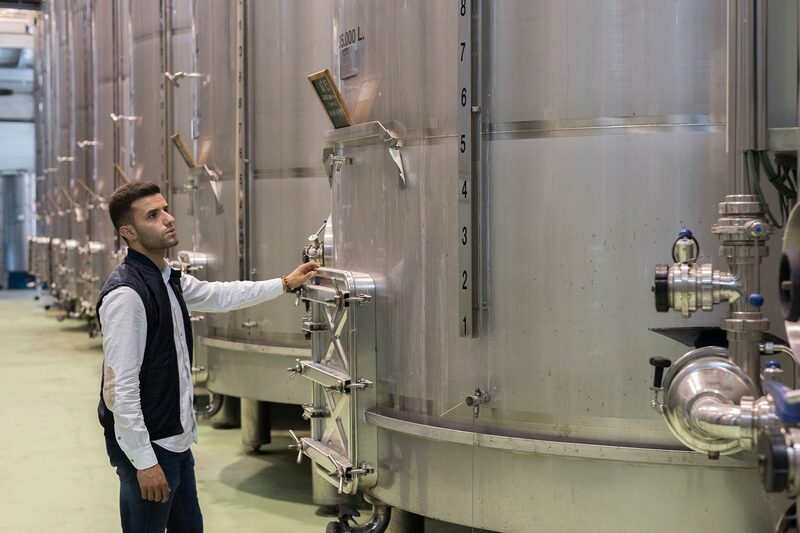 Our fully-equipped facilities allow us to pay attention at every single step into the winemaking process. 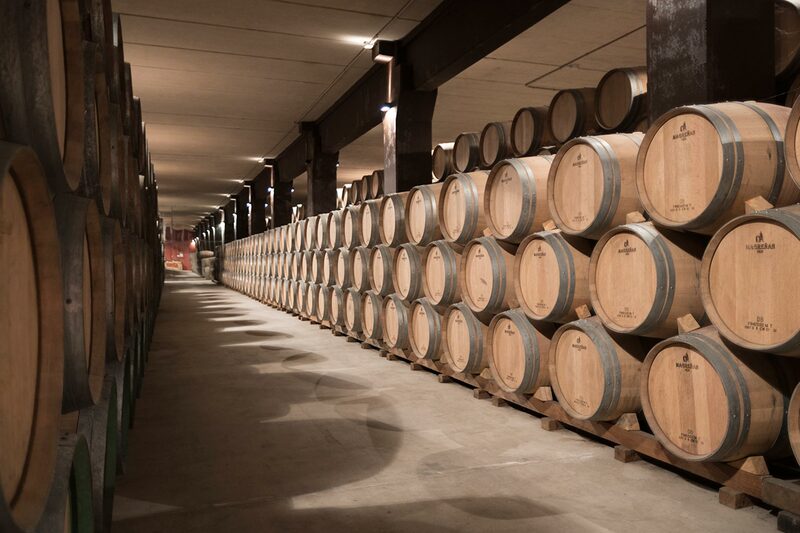 Stacked on barrel racks, our 3,000 barrels sleep 15 meters below the soil level. Valdelana Family has been making wine in the same place, our beloved Elciego, for fourteen generations. However, the history of Elciego has not always been related to the production of wine, since some data evidence its existence in the 1st century A.C.
Romans entered the Iberian peninsula through the Ebro delta in the 1st century A.C. They settled in Elciego, formerly called “Romaneda”, and introduced to Mediterranen crops: the vine and the olive tree. The widely known Portuguese sheperd Viriato helped them to invade two mountain ranges, Sierra de Cantabria and Sierra de Urbasa, thanks to his broad knowledge of the area. 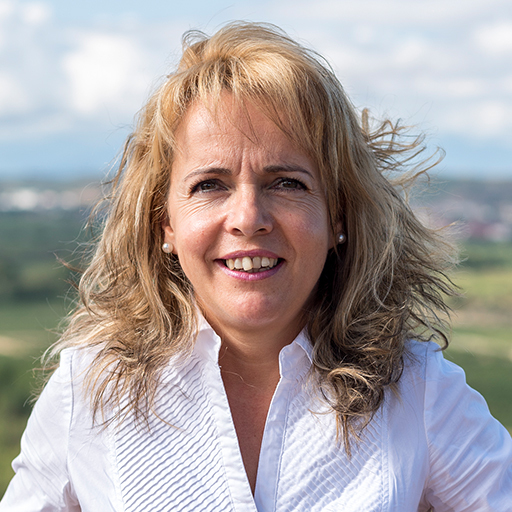 During a battle in a valley named Valle de Lana, Viriato’s daughter died. Her epitaph reads “Here lies Minicia Aunia, Viriato’s daughter, aged 3”. Every descendant from this valley bears this epitaph on their coat of arms. The oldest extant document about the winery dates back to the independence of Elciego from Laguardia on the 12th November 1583. As King Felipe II of Spain claimed, Elciego had to pay about three millions maravedíes (ancient Spanish coins) and some pitchers of wine from the underground cellar of the village, called “Calado de la Villa”, to gain it. 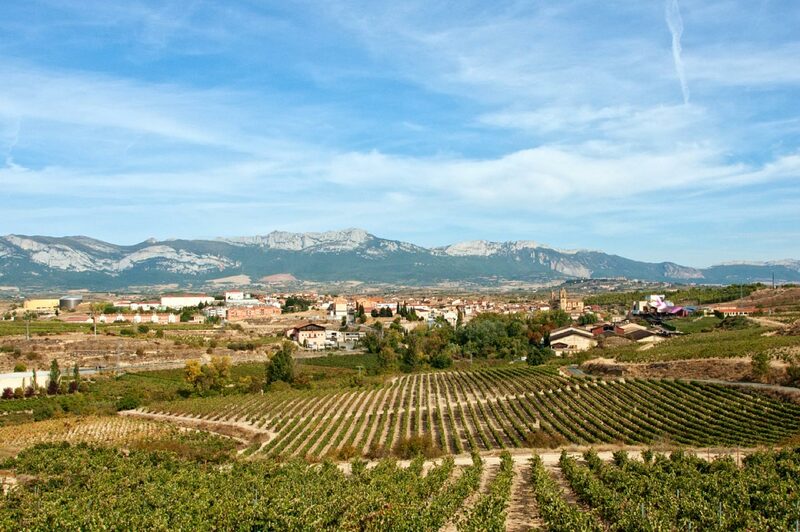 At the end of the 14th century our ancestors left the Valley, crossed over a mountain range called Sierra de Codes and settled in Elciego (Rioja Alavesa), looking forward a better life. Just to remember their beloved land, they decided to change their original surname, Ibarrola, for the name of the valley, Valdelana. Pedro Valdelana, the first vine grower in the family, was born in 1615. He laid the foundations of the winery, foundations on which we sit our current project. Looking back on our memories we remember every single place that was important to us when we were little children. Just by knowing our history you will be able to understand our essence: our past, our present and our future. In 1634 our ancestor Pedro Valdelana started producing his own wine in one of the underground cellars we keep nowadays. Although that wine was for self-consumption, it preserved the features of tempranillo wines that we currently enjoy. 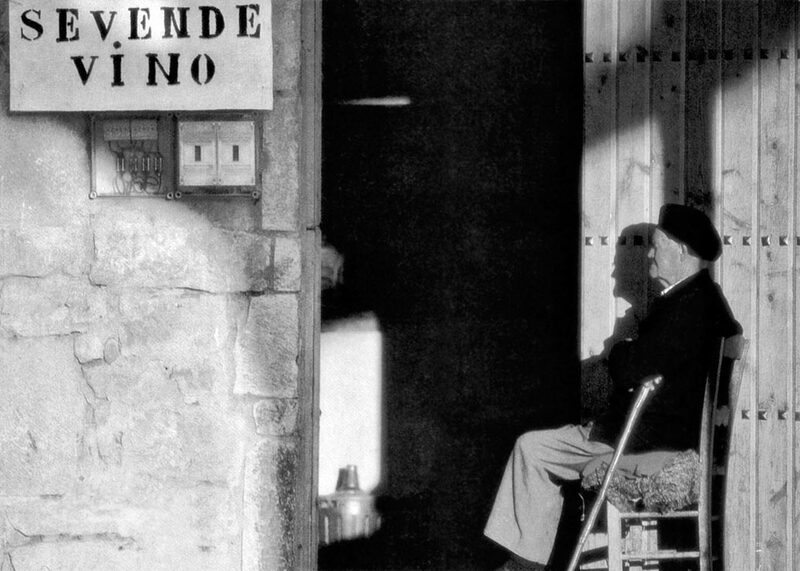 In 1950 our great-grandfather Pedro Valdelana had to work very hard to expand his vineyard holdings. 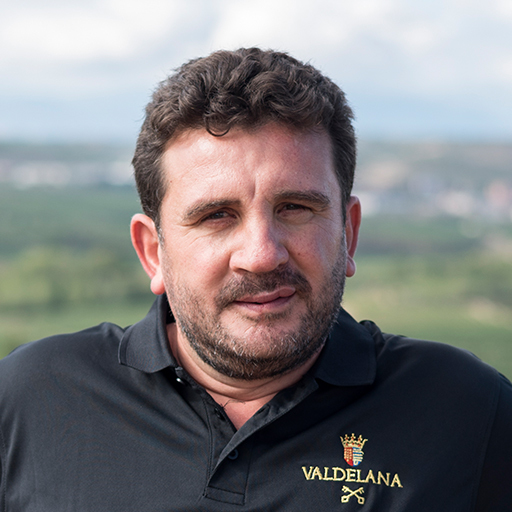 Some years later, in 1974, our grandfather Isidoro succeeded in commercialising the first bottle labelled Valdelana. He still proudly remembers his beginnings in wine selling. 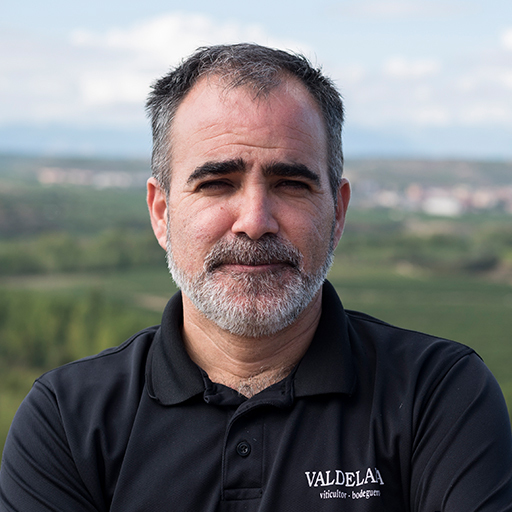 The winery is currently managed by Juan Jesús Valdelana. 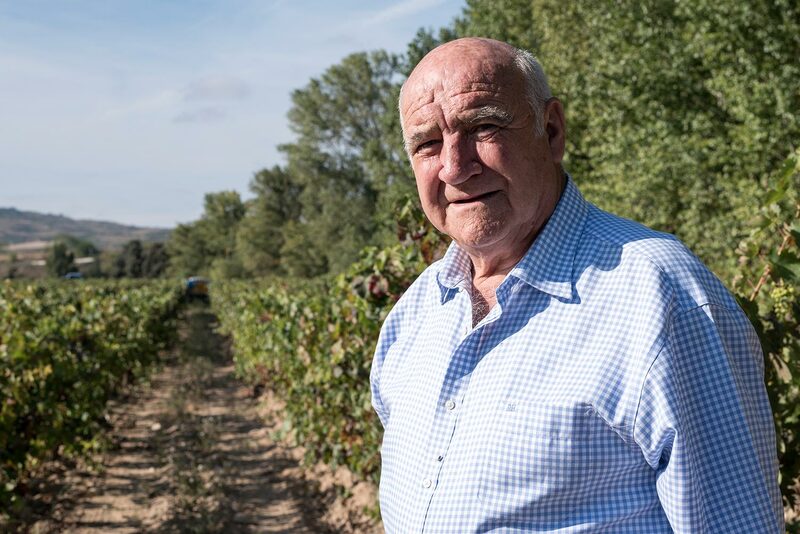 He firmly entered the wine market in 1980, when he bought his first vineyards to a winery settled in Elciego and increased the family vineyard holdings. In 1989 he became one of the fifteen vine growers of Rioja Alavesa selected for training in viticulture, oenology and marketing. He finally got his Certificate in Oenology in 1991. He carried out the last enlargements of the winery and set himself new goals. He always relied on the widely known vine growers of his family. 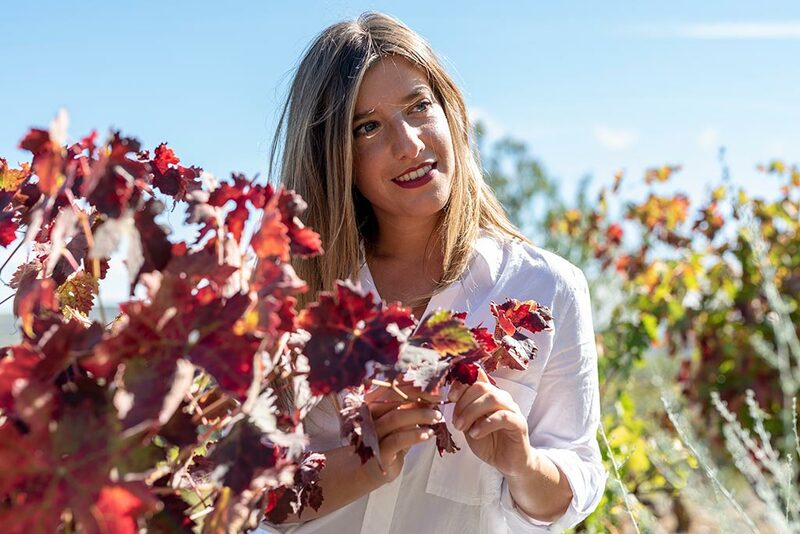 The last generation of this family is represented by us, Judit and Juan Valdelana, who continue working with the same enthusiasm as our ancestors. Combining tradition and innovation, we succeed in making our wines known all over the world. 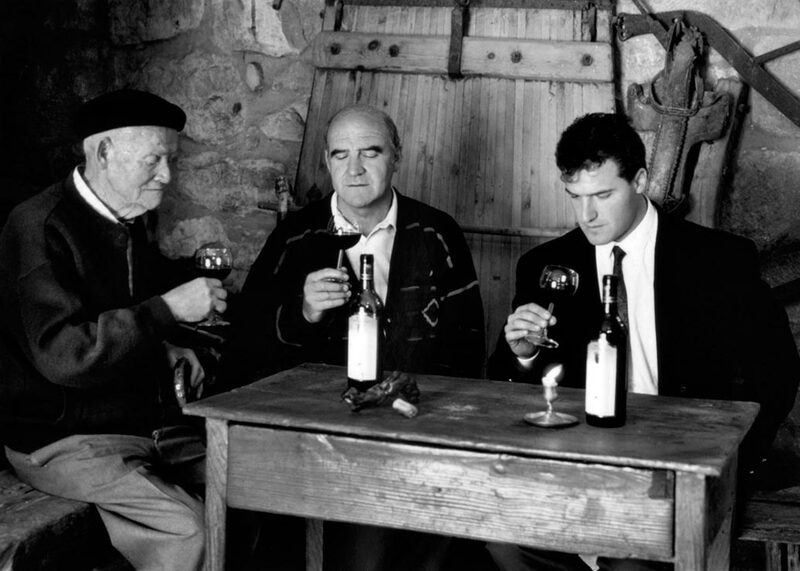 Nowadays three generations are working together in the winery. Let us tell you a short story about us. He was born in Elciego (Álava) in 1937. He is the fourteenth generation of this family of vine growers indigenous from Valle de Lana (Valley of Work). He started working the fields in 1955. Strong and impetuous man, he worked very hard to make dry and poor soils become fertile and rich. He expanded his vineyard holdings during the seventies and positioned his wines in the market in the eighties. He was born in Elciego (Álava) in 1963. He is the fifteenth generation of the family. He studied at the Monastery of San Millán de la Cogolla in La Rioja, birthplace of written Spanish and Basque languages. 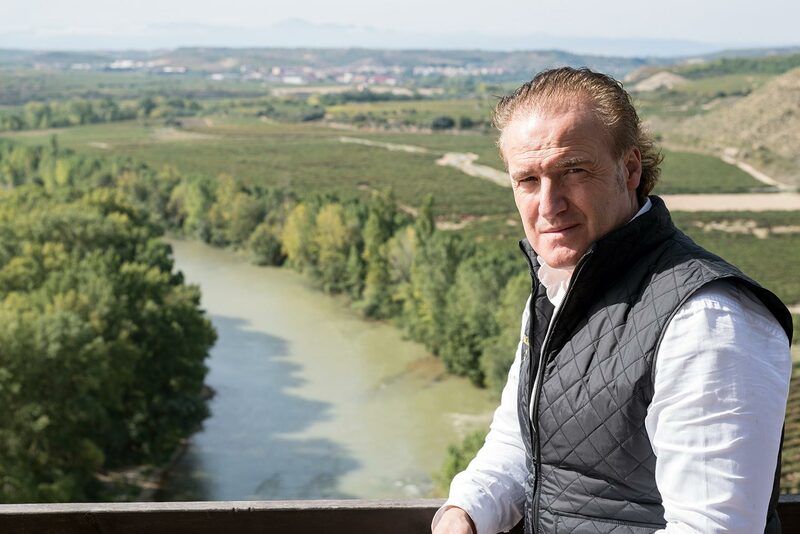 After finishing his studies in Oenology in Laguardia (Álava) in 1991, he launched his first wine onto the market one year later. The constant search for wine perfection, both inside and outside the bottle, has led him to win many prizes for his young red wine. Tireless and innovative, he has succeeded in making the winery a benchmark in the international winemaking industry. Besides, Bodegas Valdelana is one of the most awarded Spanish wineries: it has recently received its third Best of Wine Tourism award. 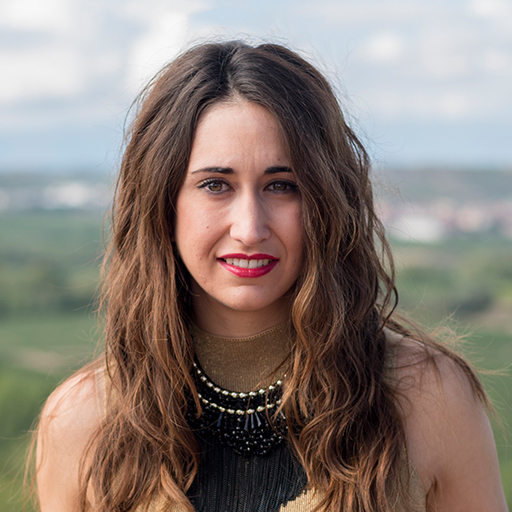 She was born in Elciego (Álava) in 1989. She is the sixteenth generation of Valdelana Family. After finishing her degree in Advertising and Public Relations at the University of Navarra, she moved to the USA to improve her English. She lived there for a year. Then, she returned to Rioja to continue her training. She has already completed the WSET (Wine & Spirit Education Trust) Level 3 course. 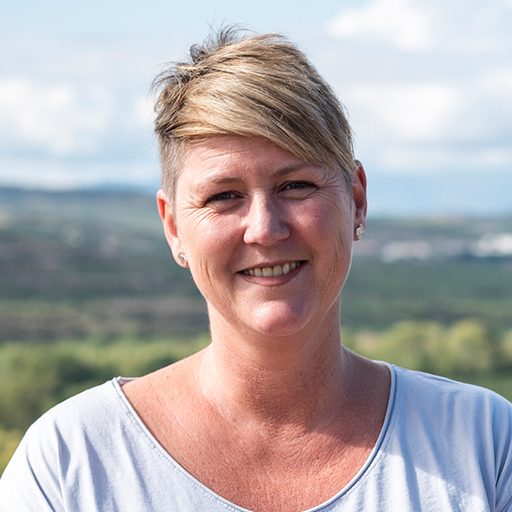 She currently manages the Marketing and Domestic Trade Departments of the winery, becoming the first woman in the family who works in the winemaking industry. She wants to position her father and brother’s wines in new foreign markets. 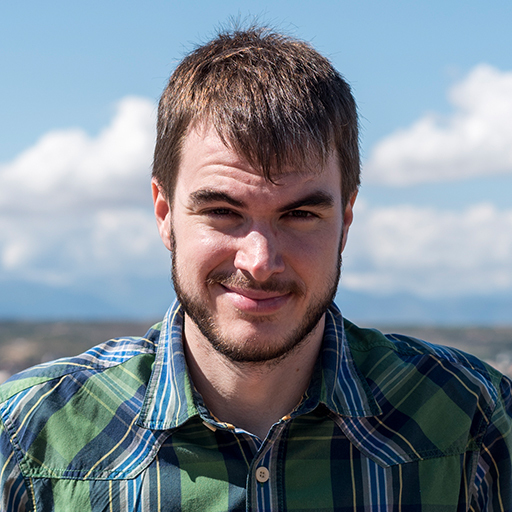 He was born in Elciego (Álava) in 1992. 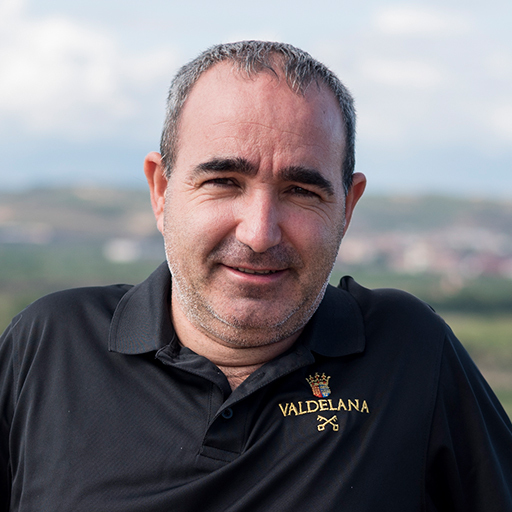 He is the sixteenth generation of Valdelana Family. 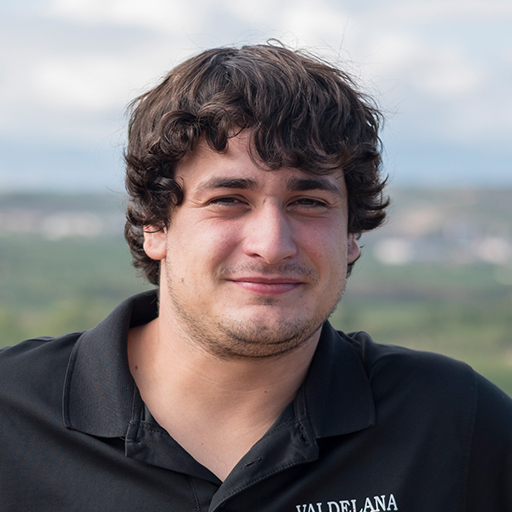 Young winemaker, he got his degree in Oenology at the University of La Rioja, winning the prize to the best final-year undergraduate project. Later on he started a degree in Agricultural Engineering at the same university. Wine has run through his veins since he was born. In fact, he has harvested grape in some of the most important winemaking regions in the world and has made wine in some well-known wineries, located in California, Tenerife or Galicia. A bright future is awaiting the winery. 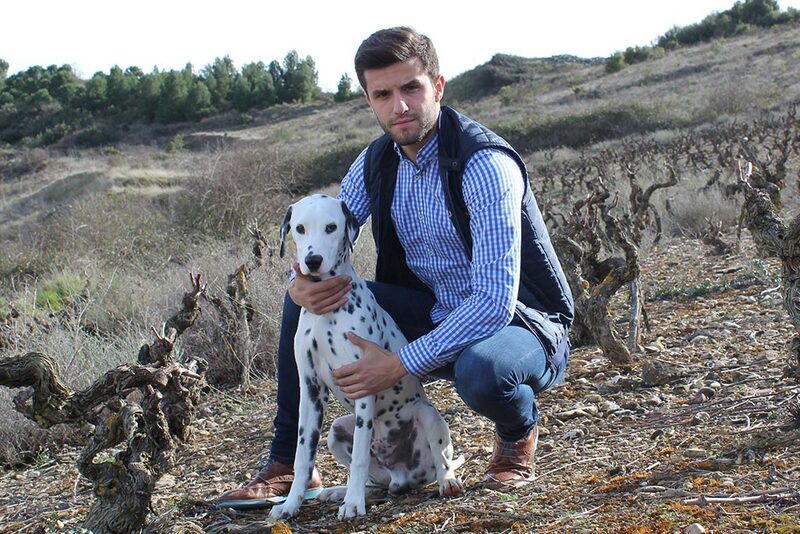 If Juan continues doing such great things, he will become one of the most talented young oenologists in Spain. 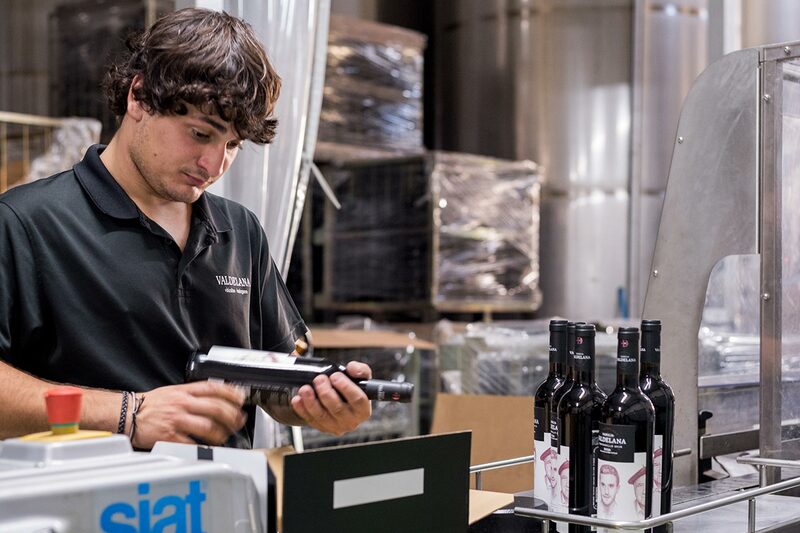 Bodegas Valdelana is not only made up of their family members, but we also have a great staff that makes it possible to offer our customers high-quality products and services. Let us introduce all of them. If we all work as a team, we will achieve a bigger goal. That has always been our philosophy. Just by working together, we have succeeded in positioning our wines in the most prestigious national and international competitions. Mejor Blaco Rioja Premios ABRA 2016 (Malvasía 2015). Medalla de Oro en el Concurso Internacional de Bordeux 2017 (Malvasía 2016). Mejor Tinto Rioja, Medalla de Oro 2015, XXII Concurso de Vinos con D.O.C. Rioja. 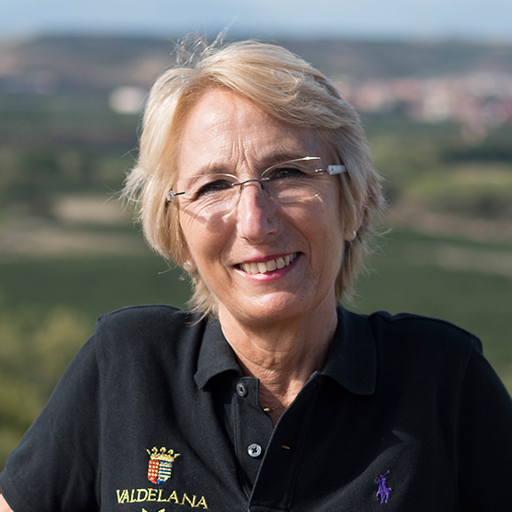 Medalla de Oro Challenge International du Vin (Familia Valdelana Tempranillo 2013). Medalla Bronze Decanter Wolrwide Awards 2016 (Familia Valdelana Crianza 2013). 91 Puntos Guía Peñín 2017 (Familia Valdelana Reserva 2012). 90 Puntos Guía Peñín 2016 (Familia Valdelana Reserva 2011). Mejor Blanco Rioja Premios Abra 2014 (Duquesa de La Victoria Malvasia 2013). 89 Puntos Guía Peñín 2016 ( Duquesa De La Victoria Crianza 2014). Medalla de Oro Challenge International du Vin Bordeaux 2017 (AGNVS 2014). Medalla de Plata Bacchus 2017 (AGNVS Crianza 2014). Medalla de Plata Concours Mondial Bruxelles 2016 (AGNVS Crianza 2013). 90 Puntos Guía Peñín 2016 (AGNVS 2013). Medalla de Plata Challenge International du Vin Bordeaux 2014 (AGNVS Crianza 2011). Medalla de Plata Challenge International du Vin (Ladrón Guevara Tinto 2014). Medalla de Plata Categoría Vinos Singulares XXII Concurso de Vinos Con D.O.C Rioja (Ladrón De Guevara Autor Cosecha 2014). Mundus Vini Oro Best Of Rioja Prowine 2015 (Ladrón Guevara Crianza 2013). 90 Puntos Guía Peñín 2016 (Ladrón De Guevara Reserva 2010). Mundus Vini Oro (Ladrón Guevara Reserva 2010). Medalla Oro Challenge International du Vin Bordeaux 2017 (Ladrón de Guevara Autor Crianza 2014). Medalla Oro En Mundus Vini 2017 (Ladrón de Guevara Crianza Autor 2014). Mejor Tinto En Barrica Rioja Premios Abra 2016 (Ladrón De Guevara Crianza Autor 2013). Medalla Oro Challenge International du Vin Bordeaux 2016 (Ladrón de Guevara Autor Crianza 2013). 91 Puntos Ladrón Guía Peñín 2017 (Ladrón de Guevara Crianza Autor 2014). Medalla Silver Decanter Wolrwide Awards (Ladron Guevara Autor Crianza 2011). Medalla Oro Challenge International du Vin (Ladrón de Guevara Autor Crianza 2012). Mundus Vini Oro Best Of Rioja Prowine 2015 (Ladrón de Guevara Crianza 2013). Mejor Crianza Rioja Premios Abra 2012 (Ladrón de Guevara Autor Crianza 2011). Gold Medal Tempranillos Del Mundo (Centvm Vitis 2009). Gran de Oro Catavinum (Centvm Vitis 2008).